Posted in The Story of Us	by Kendra G.
I thought it would be fun to take a look back, five years ago. but we finally decided that having it that weekend was absolutely perfect. Everyone had a three day weekend already and some turned it into a longer weekend. We also thought it would be fun to have fireworks each year we celebrated. 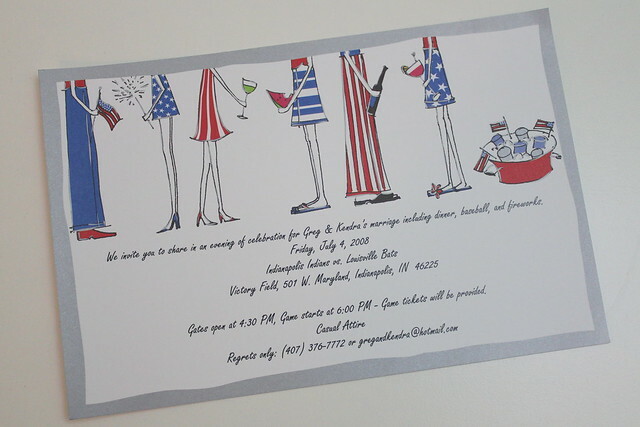 We welcomed guests throughout the day on the 4th and got to catch up with so many people. Our rehearsal was held at our venue mid afternoon, followed by our rehearsal dinner. 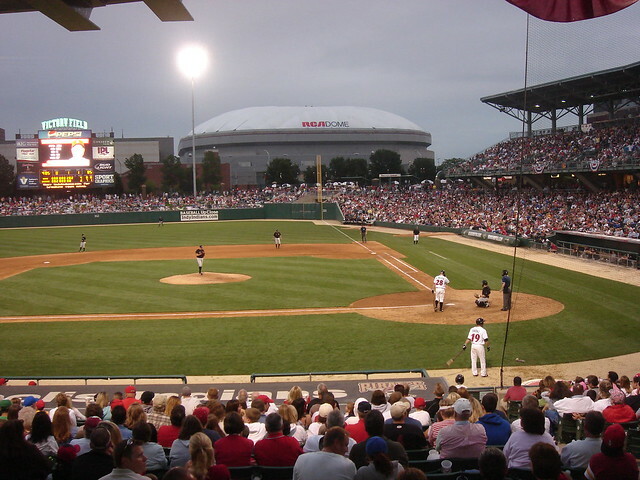 Victory Field, home of the Indianapolis Indians (Triple-A affiliate of the Pittsburgh Pirates). 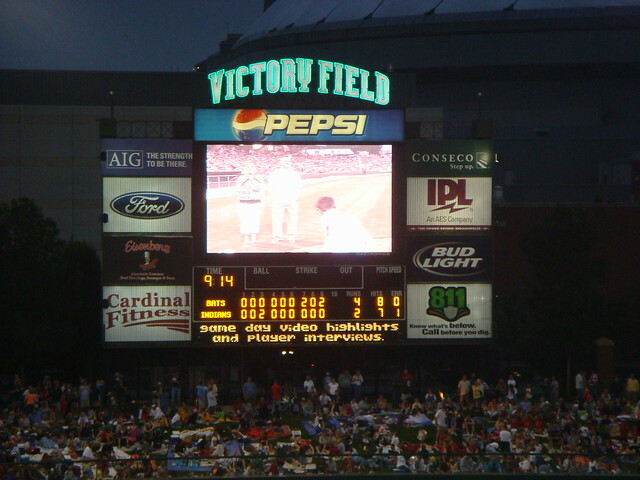 We chose Victory Field for a number of reasons. 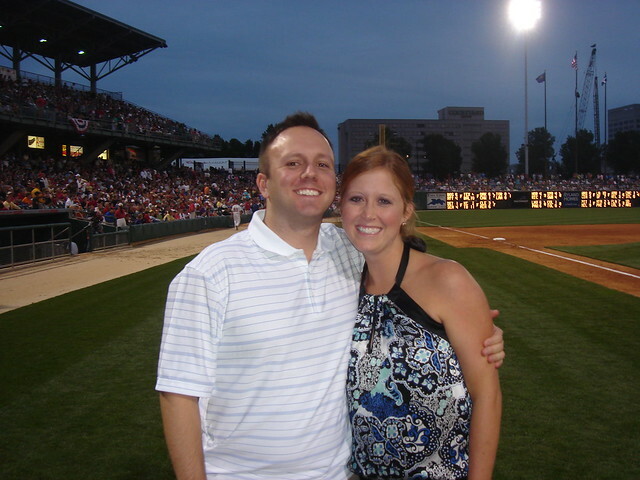 If you know us at all, you know that we both love sports, especially baseball for Greg. 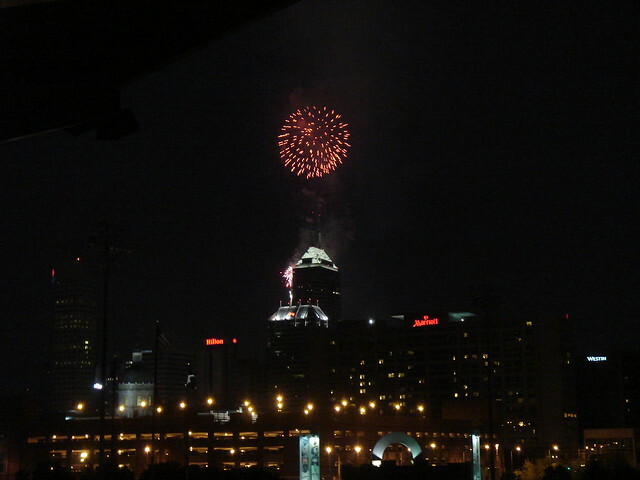 so we know first hand that it’s a great evening filled with tradition, plus a great view of the downtown fireworks. so no one had to mess with driving to or from the game, especially great for out-of-towners. Most importantly, this is the very place that Greg and I met just two summers prior. 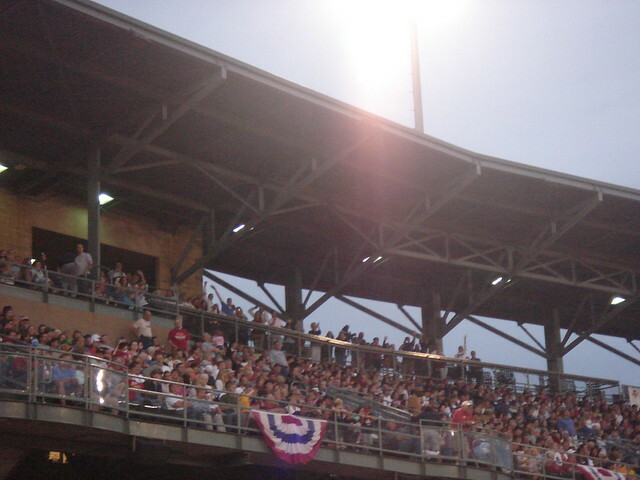 There is no doubt Victory Field will always hold a special place in our heart. 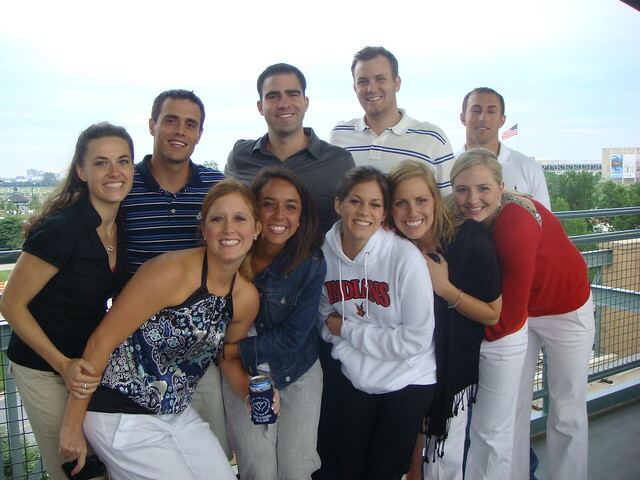 We hosted our guests on the Third Base Terrace, located on suite level. 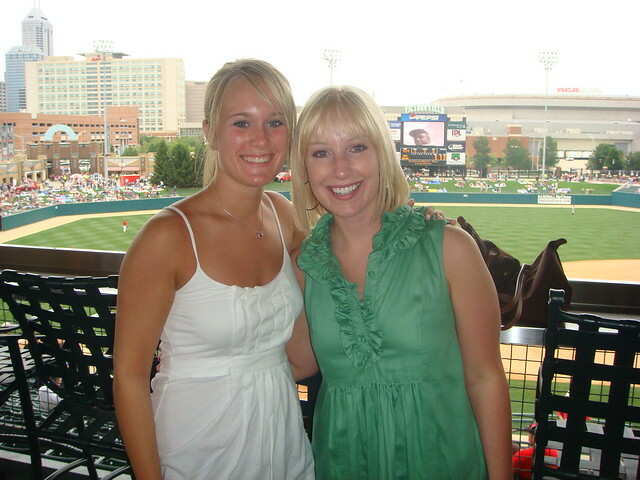 Everyone enjoyed great seats for the game, yummy ballpark food, and the best view for downtown Indy. but to our surprise, it was very chilly… freezing I would say. I distinctly remember people buying sweatshirts because we were not prepared for the cold. in dizzy bat on the field. Let me tell you, it is still funny to think about to this day. Michael, Maggi, Joe, and Jeff definitely provided entertainment to a sold out crowd. and end a wonderful day with our closest friends and family.